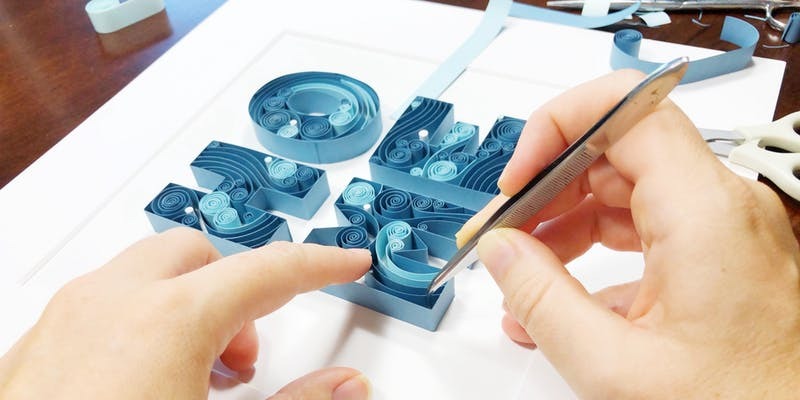 Join Ashley Chiang of PaperLiberated to learn finger quilling basics whether you've never even heard of paper quilling or you're looking to up your game without the use of tools! Choose any four letter word to practice your paper mastery - HOME, LOVE, CALM, OPEN, GLOW, etc - or choose a phrase to write around your four letter word GLOW "up" , LOVE "hard" , "do" GOOD, etc. WHAT YOU'LL LEARN: In this three hour workshop, you'll learn basic quillography and shapes as well as how to curl and coil thick card stock wIthout the use of fancy tools. You'll follow essential finger quilling skills that will guide you through the creation of your chosen four letter word (Yes! Any four letter word you'd like to have hanging around). We'll also highlight the differences between traditional quilling practices and more modern techniques. WHAT'S PROVIDED: What is All supplies (glue, card stock, scissors, tweezers, art board, mats and frames) are provided for you to take once the class ends and you''ll also take home the Quilling PDF and extra paper to be able to make another project. 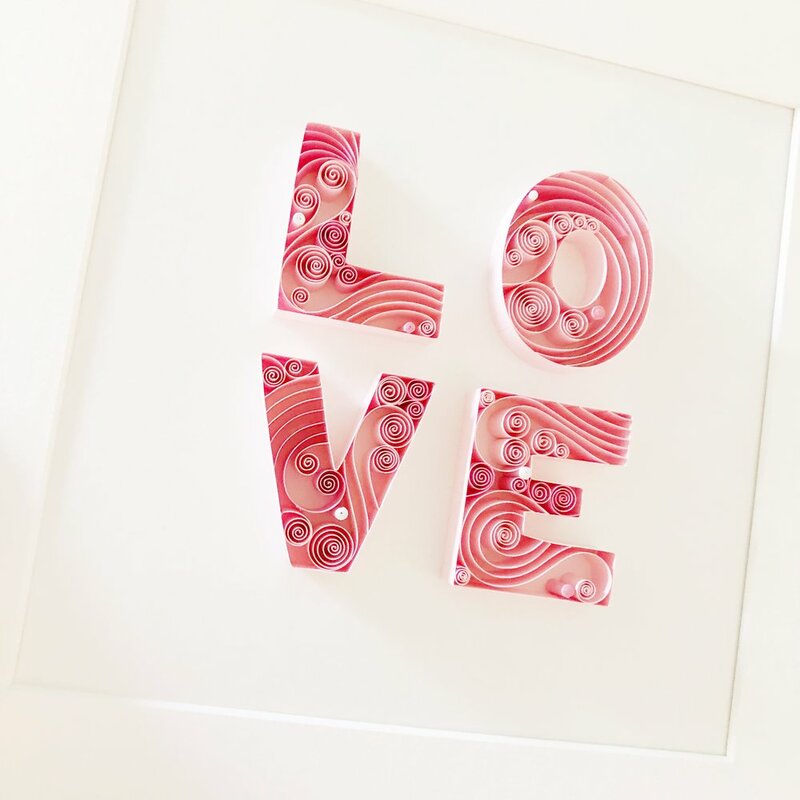 WHAT YOU'LL MAKE: By following some basic Finger Quilling concepts, you will have a colorful, handmade piece of framed art to take home with you or to give to a friend! ABOUT THE INSTRUCTOR: Native to the Washington DC metro, paper artist Ashley Chiang folds, sculpts, and coils paper into intricate 3-dimensional designs. Taking a unique spin on the old art of Quilling, she combines the traditional coiling of thin paper strips with a more graphic approach, using larger paper swaths and shapes. Her intentional use of very few simplistic tools (only scissors, tweezers and glue) directly contradicts her imaginative, detailed work. Her artwork has been juried into galleries and shows nationwide and former commercial clients include the Rainforest Alliance, Domtar, Veritiv and Marshalls.